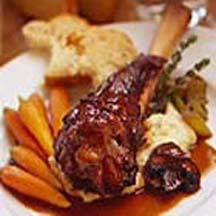 CooksRecipes has quality, kitchen-tested recipes for lamb shanks that you can count on for successful deliciousness. 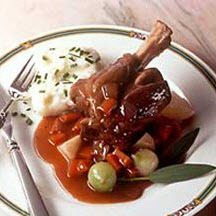 Fork-tender lamb shanks braised in a richly seasoned red wine sauce with onion, bacon and white beans. You can use a Merlot in this recipe, but any full-bodied red wine, like Cabernet Sauvignon, will give the sauce the right deep flavor. 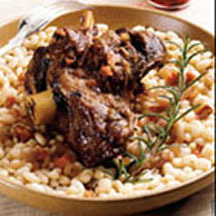 Recipe courtesy of the Meat and Livestock Australia.